In March 2015, following a long political crisis in Yemen in which all parties resorted to violence, Houthi rebels seized the capital Sana’a, triggering the collapse of President Abd Rabbuh Mansur Hadi’s internationally recognized government. Hadi fled into exile. On March 24, Hadi requested external military intervention from the Gulf Cooperation Council (GCC). A coalition of Gulf Arab states, led by Saudi Arabia, began aerial bombing raids over Yemen, with the stated aim of restoring the government of the exiled President. In the three years since, these raids have killed and maimed civilians and destroyed civilian infrastructure across the country. At the same time, Houthi rebels and their allies have repeatedly shelled populated areas. The conflict has generated “the worst manmade humanitarian crisis in the world” according to the UN Office for the Coordination of Humanitarian Affairs. The scale of the crisis can be seen in the table below. According to the Yemen Data project, from March 26, 2015 to March 25, 2018, the Saudi-led coalition conducted an average of 15 air raids per day, for a total of 16,749. These raids are fueled by the arms that are being exported to the coalition—in particular, Saudi Arabia. Many exporters are States Parties or Signatories to the Arms Trade Treaty (ATT), the first legally binding international instrument to regulate the international trade in conventional weapons. According to Control Arms, the total reported value of licences and sales of arms to Saudi Arabia in 2015 by States Parties and Signatories to the ATT was more than US$25-billion. This figure is certainly low, because some states have provided no data or incomplete data on transfers in 2015. This blog explores how the ATT could be used to help end the war in Yemen. The ATT came into force on December 24, 2014. As of January 2018, 94 states have ratified or acceded to the ATT, including five of the world’s top 10 arms producers: the United Kingdom, France, Germany, Italy, and Spain. The United States, the world’s largest arms producer, has signed but not ratified the treaty and so is not yet a State Party. Many of the articles of the ATT have direct relevance to the situation in Yemen. Article 1 states that the treaty’s purpose includes reduction of human suffering. Evidence from UN investigations indicates that the air strikes and ground operations, which have killed civilians and destroyed residential buildings, civilian industrial factory complexes, hospitals, and marketplaces, have likely contributed to violations of international humanitarian and human rights laws. It is almost certain that coalition airstrikes have not met international humanitarian law requirements of proportionality and precautions. Some attacks may constitute war crimes. The UN human rights chief has accused the Saudi-led coalition of causing twice as many civilian casualties as all the other forces fighting in Yemen. Selling arms to perpetrators of such actions could make states including Germany, Bulgaria, Romania, Finland, Norway, Italy, Spain, the United States, and the United Kingdom complicit in war crimes; they are clearly not meeting some of their legal obligations under the ATT. Articles 6 and 7 (Prohibitions and Export Assessment), require States Parties to carry out a comprehensive risk assessment prior to authorization of the export of conventional arms. States Parties must, inter alia, ensure that arms will not be used to commit or facilitate a serious violation of international humanitarian law and human rights laws. This fosters transparency and accountability around processes relating to arms-transfer decisions. While some current transfers and licences to Saudi Arabia would have been authorized before 2015, Article 7.7 encourages States Parties to reassess licence authorizations in light of Saudi Arabia’s current role in the Yemen conflict. According to the Yemen Data project, 31% of all coalition air raids targeted non-military sites in Yemen. Article 11 (Diversion) obliges States Parties to take measures to prevent the diversion of conventional arms to unauthorized users, or to the illicit arms market. In Yemen, many Houthi weapons initially came from the national stockpile, as President Hadi’s regime has lost control of more than 68 % of the armouries since 2015. As the war has progressed, armed factions have splintered and multiplied and some have shifted loyalties, taking their weapons with them. The weapons that were exported to a particular end-user may therefore have been diverted to unauthorized users through capture or illicit sale, or via users across the shifting alliances. The above list is not exhaustive, but does illustrate the nature of the violations of the ATT that have occurred since the armed conflict began. States Parties to the ATT must put in place effective measures to implement the Treaty. They must modify national export control systems, including legislation and control lists; national authorities; and regulatory procedures, as needed, to comply. 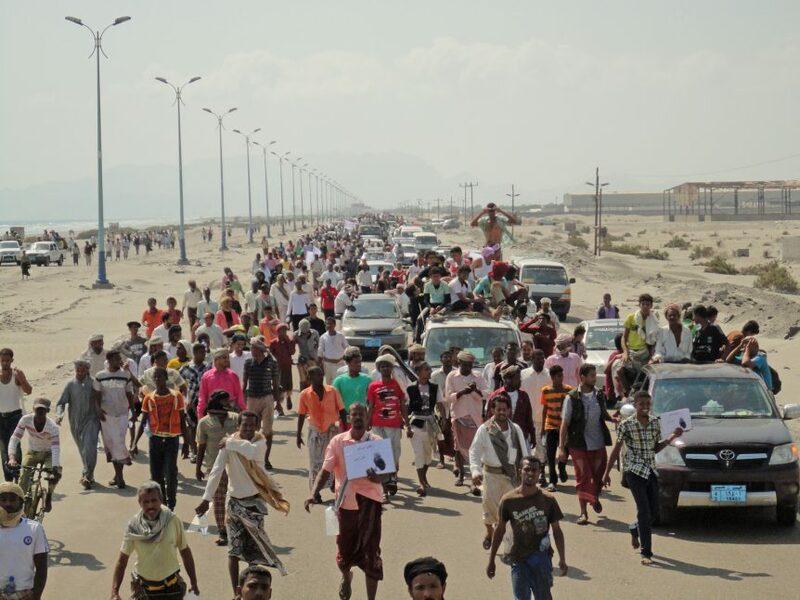 The conduct of the conflict in Yemen has triggered legal challenges by civil society actors and human rights groups to pressure their governments to stop exporting arms to coalition members. The UK Campaign Against Arms Trade launched a legal challenge that argued that British arms exports to Saudi Arabia breached UK national guidelines. In France, legal NGO Droit Solidarité and Aser, which specializes in armament issues, have demanded that export licences to Saudi Arabia and the UAE be withdrawn. Similar legal pressure is being mounted in Italy, the United States, and elsewhere. Even in Canada, which is expected to accede to the ATT this year, the government is facing legal challenges on its arms sales to the Saudis—in particular, a 2014 deal worth $15-billion. In May 2018, the Working Group and preparatory committee for the Conference of State Parties of the ATT met in Geneva. Here civil society raised concerns about the incompatibility of selling arms to the Saudis with adhering to the ATT. One of the tragedies of the war in Yemen is that there is no military solution possible in the current Yemini conflict. This finding has been repeatedly documented by UN agencies and humanitarian organizations. And yet, the constant supply of arms to Yemen continues to prolong hostilities. Yemen will only achieve peace through international diplomacy and the political will of all the Yemeni parties involved. The ATT offers an avenue for all State Parties to reexamine and reassess their arms exports to coalition members. In this way, they could live up to the spirit and objective of the ATT, which is to prevent human suffering. Some governments, including those of the Netherlands, Finland, Norway, the Flemish and Waloon regions of Belgium, Sweden, Switzerland, and Germany have stopped all sales to parties involved in Yemen. But these changes, although welcome, have come too slowly. In the meantime, the human cost has only gone up in Yemen. The Yemen war has served as another stark reminder that the approach to the global arms trade cannot be business-as-usual. State Parties of the ATT should strive for full compliance to ensure the maximum effectiveness of the ATT. Complying can only help to bring an end to the ever-worsening humanitarian crisis in Yemen.